Last Sunday we sang one of the beloved old hymns, “Softly and Tenderly” by Will. L. Thompson, 1880. The words are soul-stirring and soul-searching. As I thought about and have sang this song over and over this week, I am reminded of the urgency in responding to the wonderful mercy and forgiveness of Jesus. Jesus does not barge his way in but tenderly He stands at the heart’s door and knocks (Revelation 3:20-21). We have to invite him in and oh the sweet difference it makes when he does. Jesus has plainly told us that He is the only way to heaven, the only way to the Father, the only way to receive forgiveness from sin. “I am the way, the truth and the life. No one comes to the Father except by me” (John 14:6). If you do not want to believe that Jesus is who He says He is, you do not need to. If you do not want to pray, you do not need to. If you do not want to obey His commandments, you do not need to. If you do not want to take time to read His Word, you do not need to. If you do not want receive Jesus as your personal Savior, you do not need to. If you want to spend your life denying the existence of God and the truth of His Word, you may do so. Jesus never demands, but He does warn. He does not barge in but He does come near; patiently, waiting to be invited in. Jesus does not manipulate but grants freedom of personal will to do and believe as you please. Jesus pleads, with outstretched hands, to come to Him, the Messiah, and He presents the opportunity over and over and over. I thought about the snow storm the other evening. Each little flake of snow flurried to the ground, softly and tenderly, without a sound. The evidence of one flake might be questionable but as it began to pile up measuring inches its presence was undeniable. Over and over Jesus is making himself known to humanity; the amazing complexity, diversity and beauty of creation, a stunning sunset, the changing of seasons, the joy of a changed life, the incredible development and birth of a baby, the power of the reading His Word, answered prayer, miraculous healings, the testimony of believers whose lives have been changed, the indwelling presence of the Holy Spirit and the fulfillment of prophecy. The evidence mounts deeper and deeper and scripture says that one day ALL will be held accountable. No one will be able to deny that they did not know (Romans 1:20). At the moment of death you will fall on your face before Jesus and the question you will face is, “What did you do with my Son, Jesus”? (Philippians 2:9-11). Being good does not get you to heaven. 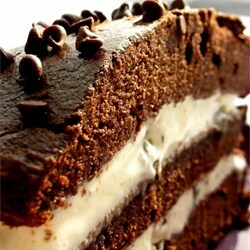 Being good only counts when it flows out of a heart of love and obedience to Jesus. Accepting Jesus as your personal Savior and living a life of obedience and surrender to Him, guarantees you eternity in heaven (Romans 10:9). Remember, your choice, your decision, determines your destiny. Softly and tendering Jesus is calling. Will you answer that call before it is too late? Scripture References: (Words of Jesus in red). Romans 1:20 For since the creation of the world His invisible attributes are clearly seen, being understood by the things that are made, even his eternal power and Godhead (Father, Son and Holy Spirit) so that they are without excuse. Philippians 2:9-11 Therefore God has highly exalted Him (Jesus) and given Him the name that is above every name, that at the name of Jesus every knee should bow, of those in heaven and those on earth, and of those under the earth and that every tongue should confess that Jesus Christ is Lord, to the glory of the Father. Here is a beautiful rendition of the song. If you are looking for a very good potato soup recipe for a cold, snowy day….this is a winner that I got from my friend, Miriam Haarer. Sauté: 3 strips bacon fried and crumbled. Saute 1/3 c. chopped onions in bacon grease. 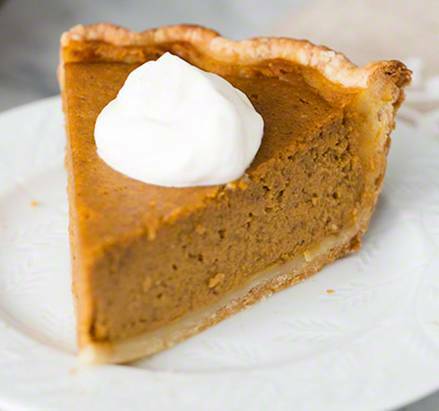 (Or can just use 2 T. butter & 1/3 cup onions). Add to sautéed mixture and boil 2 minutes, stirring constantly. Dice and cook 4 medium potatoes in 2 c. water until tender. Add cooked potatoes (with the water) to sautéed mixture and add an additional 1-1/2 c. milk and 1/2 cup grated cheddar cheese. Heat thoroughly but do not boil. There is lots of new life on a farm, occasionally death, and once in a while there are orphans. Right now we have two orphan baby beef calves. It often feels like misfortune comes in bunches. The saga started one bitter cold, icy evening about four weeks ago. 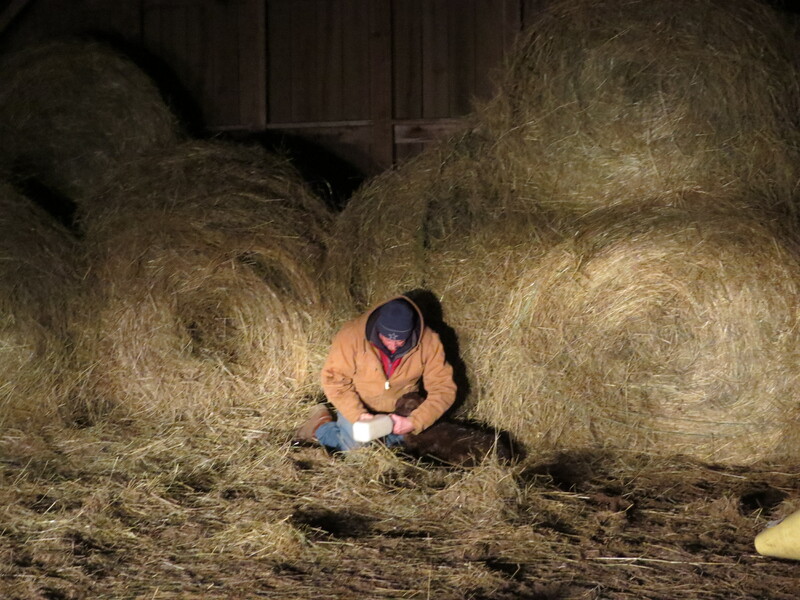 Just before nightfall, Gene went out to feed hay and a heifer came across the field with a newborn calf in tow. She didn’t appear to want anything to do with the calf and neither did she appear to have much of an udder. Apparently the calf went in search for its mama and followed her up to the barn. A cow will often stash a calf in a safe spot so it can sleep and gain it’s strength while she grazes the first couple of days. She will go back often to check on the calf and let it nurse. The calf appeared more than a day old as the navel had already dried and was very perky as if it had nursed and gotten the mama’s colostrum. He penned them up together in the hay barn for the night. A little later in the evening we went back out to check on them and the “supposed mama” did not seem to be interested in the calf which was lying across the pen nestled against the hay. Gene gave the heifer some grain as a distraction just in case so he could feed the calf a bottle of milk with the lights on the truck. We began to wonder if this was really the mama. The “real” mama would have been protective and would not have been happy with him messing with her calf. The next morning he went to the barn and fed the calf again. He checked all his mama cows and heifers to see if there was one bawling for or searching for her baby. He put the calf out with the cows to see if anyone claimed it. They came around and sniffed but no one seemed interested in claiming the little gal. He checked the fields see if there was a mama down or dead that he had missed. He could not find anything but it was becoming more and more evident that the “supposed mama” was not the mama. He brought the calf home and put it in a calf hutch bedded with straw. 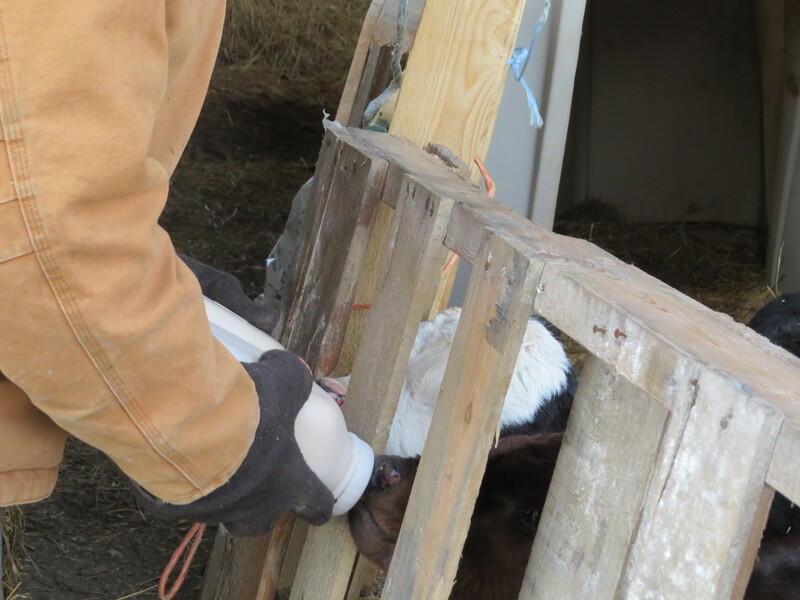 Orphan #1 very quickly adjusted to the bottle and lets “papa” know when it is feeding time! This past Saturday when Gene went out to feed the cows, he found one of his older mama cows down on her side and unable to get up. She had laid down on a hillside and had somehow ended up on her side. This is a fatal situation for a cow if not found soon enough. He tried but was unable to save the mama and now suddenly he had another two-week old orphan calf. This time it was a little white-faced bull. By the time a calf is two weeks old they have gotten their running feet under them and are very spry. Gene took backup help and while he distracted the calf Tim eased up behind the calf and with a lunge caught the little rascal about the mid section. 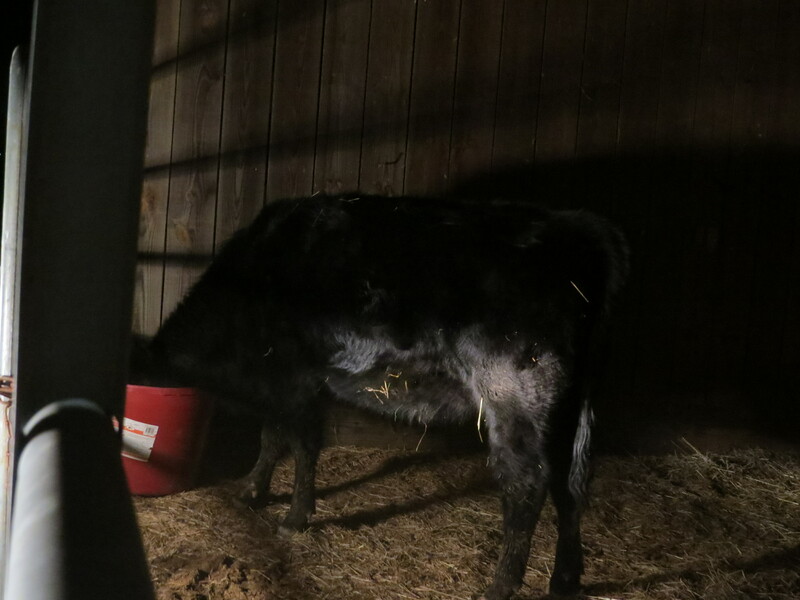 They hauled him up to the barn and put him in the hutch with the other calf. 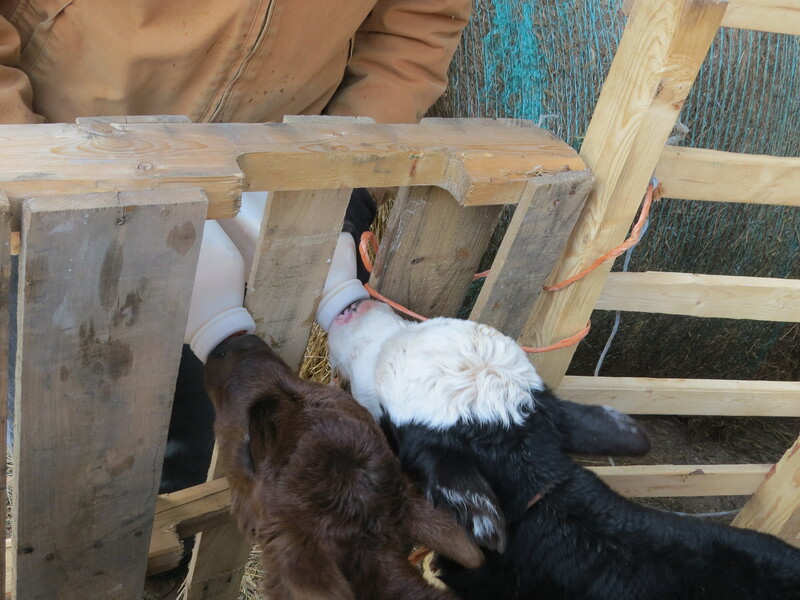 It is rare to have to bottle-feed beef calves but now he has two to feed! It is reminiscent of dairy farming days. Baby calves are fed two quarts of warm milk twice a day, morning and evening. 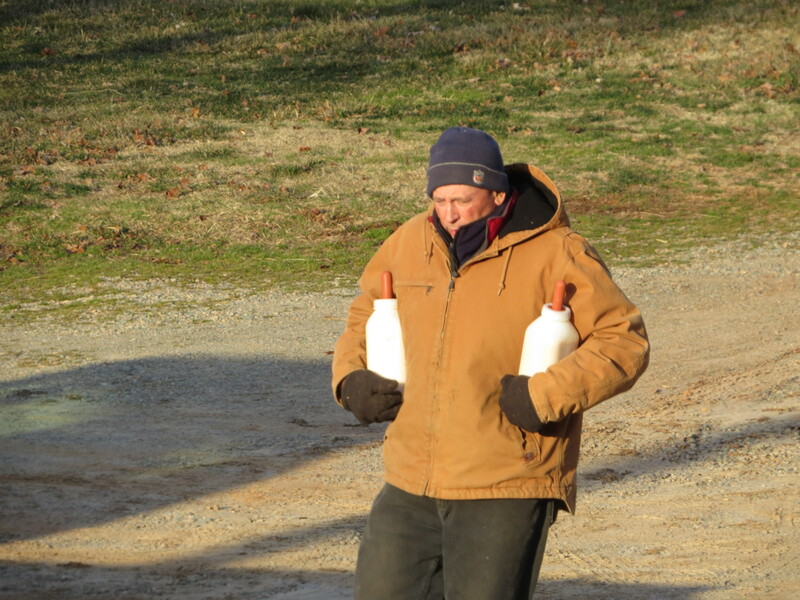 The first couple of days he used whole milk from the grocery store and then eased them on to Purina’s Herdmaker milk replacer. It is very important not to overfeed a calf or they will get sick and die very quickly. It didn’t take long for these babies to adjust and they very eagerly look forward to breakfast and supper.